Ralph Lauren | 41'000 € Tax inc.
Ralph Lauren watches are known for their strong DNA. So it is no surprise that the special anniversary collection by Ralph Lauren, the American Western collection, displays a powerful personality, so typical of the American brand. 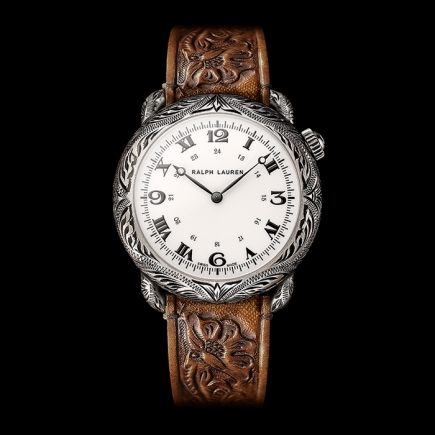 The Ralph Lauren American Western collection is a varied and complete collection since it comprises of an antiqued silver round model, an antiqued silver cushion model, a rose gold round model and a rose gold cushion model. But beyond these four watch models, Ralph Lauren has also enriched the American Western collection with beautiful skeleton watches: one model in antiqued silver and one model in rose gold. Finally, the American Western collection comprises of two very special and limited models of pocket watches in a round antiqued sterling silver case. 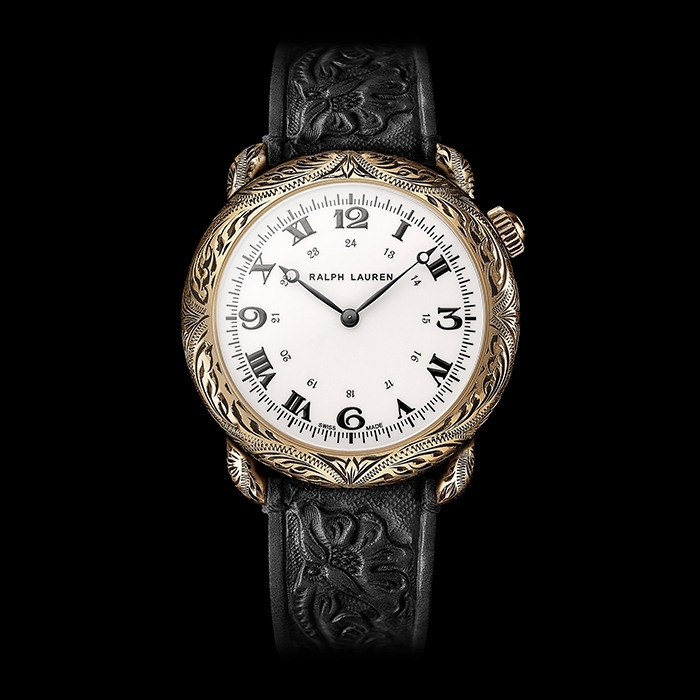 Let’s take a closer look at the Ralph Lauren American Western 45 mm round model. This round watch model is available in an antiqued sterling silver case or in a rose gold case and both variations display the same vintage chic spirit so typical of the Texan style. 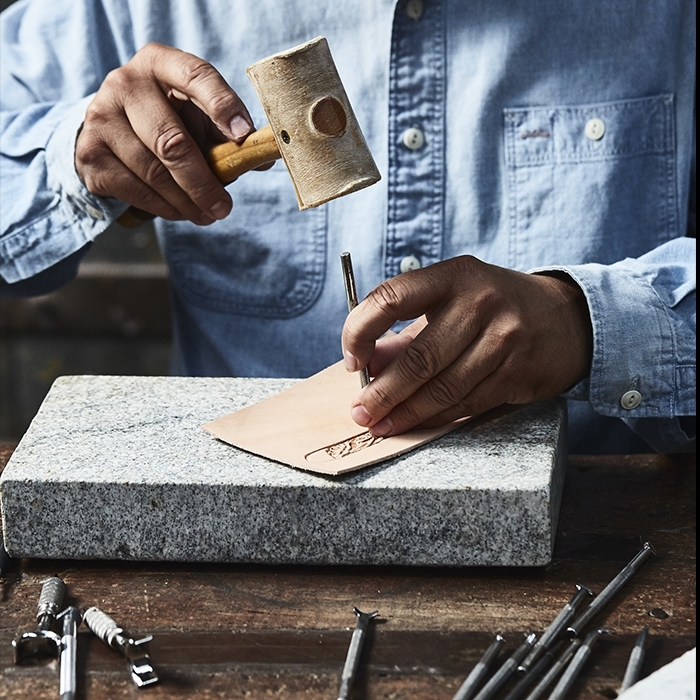 The unique Ralph Lauren watch case is decorated and embellished with such care and detail that it displays this rugged elegance and authenticity that people want to relate to. 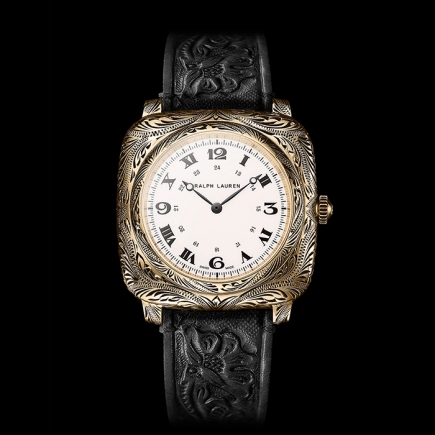 The engravings on the Ralph Lauren American Western watch case are the work of highly skilled artisans and in fact each watch model could be considered unique. 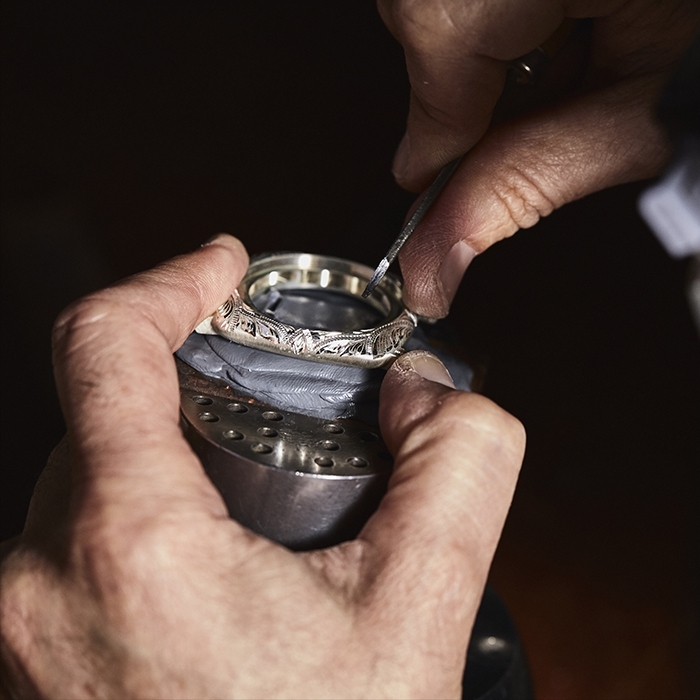 Indeed, the weights of the engraving strokes on the antiqued sterling silver or rose gold case are all subtly different, so as the patina levels of the cases. Unlike the pocket watches of the American Western collection, the round (and cushion) models of the American Western collection are mounted on the most exquisitely decorated leather straps from Texas. These leather straps on the round and cushion models are a real added value to the watch as they provide continuity to the fine decoration of the watch case. The movement of the Ralph Lauren American Western round watch is just as qualitative and precise as the engravings on the case. Indeed, the watch is equipped with a Swiss caliber developed by the famous luxury brand Piaget. The caliber is a self-winding mechanical movement with an approximate 40-hour power reserve. Caliber RL514 is not the same as the one Ralph Lauren placed in its pocket watch models (these come from another brand of the Richemont group), yet it is a reliable caliber that has already been tested for many years. The caliber of a watch is always a major point of interest for any serious watch collector (be it of wrist watches or pocket watches). An in-house movement will always be an added value for a watch and in that respect Ralph Lauren watches has fully satisfied this requirement. The American Western collection by Ralph Lauren displays an undeniable Western style with rugged elegance. The off-white dial and especially the Breguet-style minutes hand and hours hand generate balance and harmony in the overall design. Just like for the cushion model, the round 45 mm model, with its antiqued silver case or rose gold case, has this unique authentic feel that gives it an enduring appeal. The finely decorated case, the leather strap hand-tooled in Texas and the Swiss movement by Piaget all demonstrate that the Ralph Lauren brand has decided to work with the best artisans in their respective field to deliver the perfect anniversary watch.